Over 60 residents packed into the council meeting on Wednesday evening to express their objection to plans for 57 new homes on land in St Helens. More than 60 residents packed into St Helens Pavilion to discuss plans for a new housing development in the village. 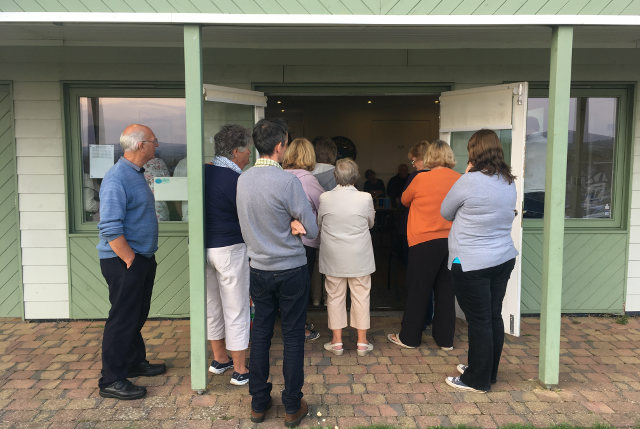 Villagers spilled out the double doors onto the green as they expressed concerns about the proposal to build 57 homes off Guildford Road. Former IWC planning officer, Phil Salmon, representing the family who own the site, answered questions about the development as their planning agent. Questions over who owned the road were raised. Residents of Guildford Road said they had ownership and did not give permission for it to be used as an access route for a building site. “Who is it affordable to? Will it be affordable to villagers and local people, or will it be affordable for people coming down from London making good money on the backs of villagers? A legal agreement could see current villagers given a limited priority for the homes. “Can you imagine the construction traffic that will come through this village? It’s just not going to handle it. “There is already a problem with sewage. If you are going to link in 50-odd houses to sewage system, that is not going to work. “There is also so much development going on across the Island. Why do you need it here? Before I came out this evening I went on to Rightmove, and there is actually today 49 houses for sale in the village, and five to rent. 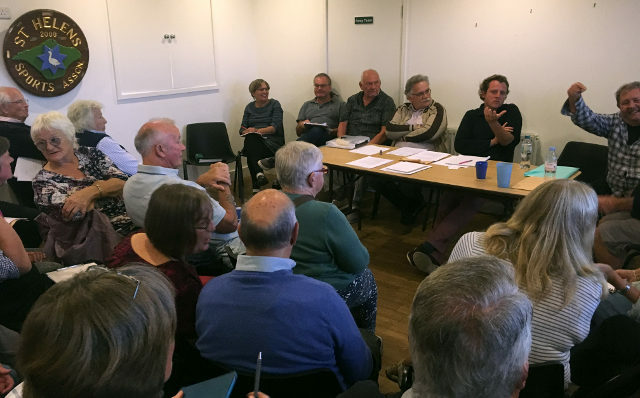 At the end of the meeting, the parish council unanimously voted to register a formal objection to the plans. The reasons cited were inadequate parking provisions, concerns over the access and safety of the site off Guildford Road, and noise and disturbance the houses would cause.